The new Bill for the City of Exeter. L. 3. The Bill for the Restitution of Mr. G. Darcye. - Jud'm. 1. The new Bill for Conspiracy of Victualers and Artificers. 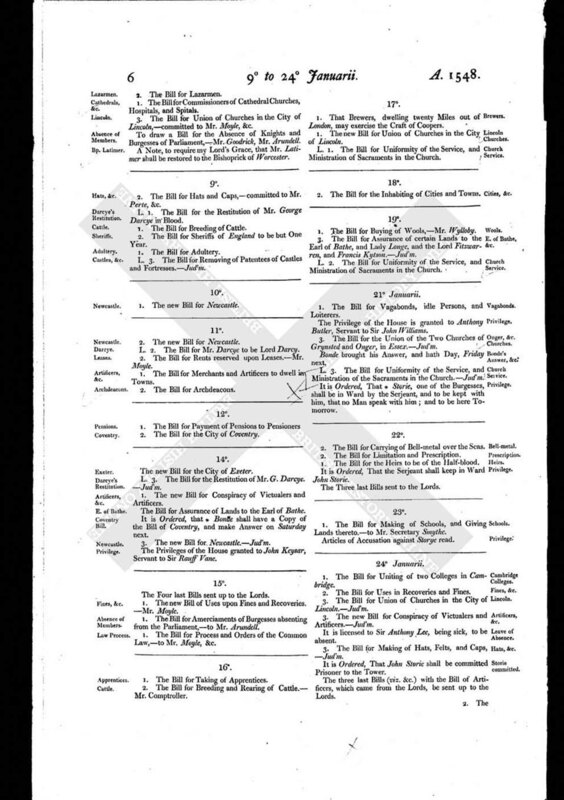 The Bill for Assurance of Lands to the Earl of Bathe. It is Ordered, that * Bonde shall have a Copy of the Bill of Coventry, and make Answer on Saturday next. 3. The new Bill for Newcastle. - Jud'm. The Privileges of the House granted to John Keysar, Servant to Sir Rauff Vane.